Goodreads: A riveting and highly commercial debut novel about the rich and complicated friendships between twelve women who meet for a cookie exchange. Kritters Thoughts: From the beginning, I fell in love with Marnie the main character and her group of friends. The friends were diverse and from all walks of life which gave the book a realism because we pick up friends in our lives through many different ways. As I prepare for my first cookie exchange this year, I loved reading how organized and committed these ladies were to this yearly tradition. Marnie has quite a group of ladies that surround her. From a new co-grandma to a friend from high school, she gathers 12 women each year to exchange cookies, stories and their lives. All while kicking off the holiday season - what a charming tradition. 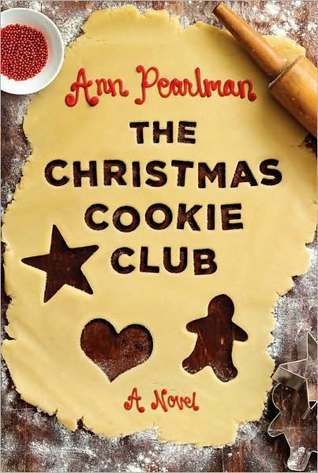 With recipes for the cookies that are shared at the party, the reader was able to be a part of the cookie club. My one negative thought was the chapters that described ingredients and gave the history of chocolate, sugar and so on - I thought this was a little weird and would have preferred maybe more back story to the characters than these inserted chapters. This is a sweet/sweat story that is worth adding to your list to read for next year's holiday season. I may even try a recipe or two!